Tucked along the lush riparian corridor of the world-famous Gallatin River sits an angler’s paradise in a private community – Baker Springs. The Property consists of approximately 20± acres of deeded ground on the banks of trout-rich Middle Pond capturing spectacular views of the surrounding mountain ranges and wildlife-rich riparian corridor. This small, exclusive development incorporates the finest attributes of a sporting property with private home sites offering maintenance-free living on 200± acres of shared open space in a spectacular location. 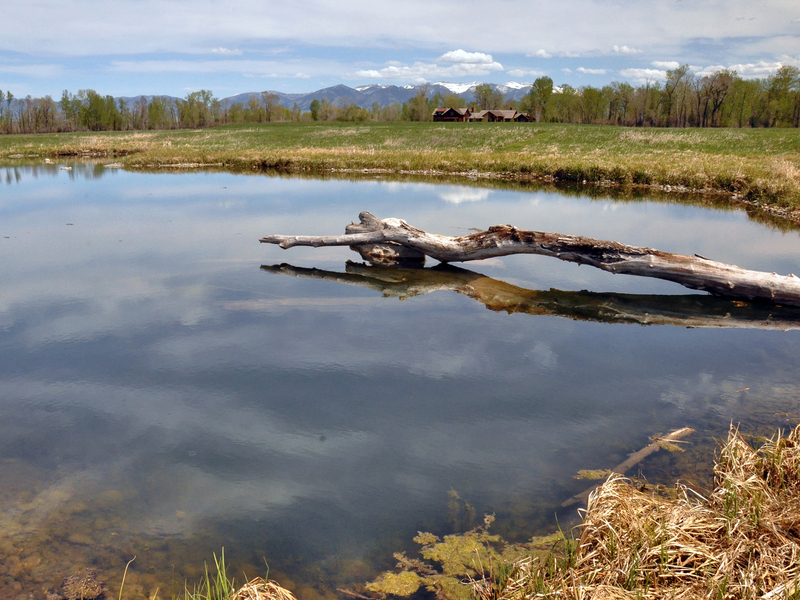 The angling opportunities at Baker Springs are what really set it apart from any other land offering in the Gallatin Valley. With private access to almost a mile of famed Baker Creek, direct access to the blue-ribbon fishery of the Gallatin River, five private ponds and three private spring creeks, owners have exceptional fishing year round. 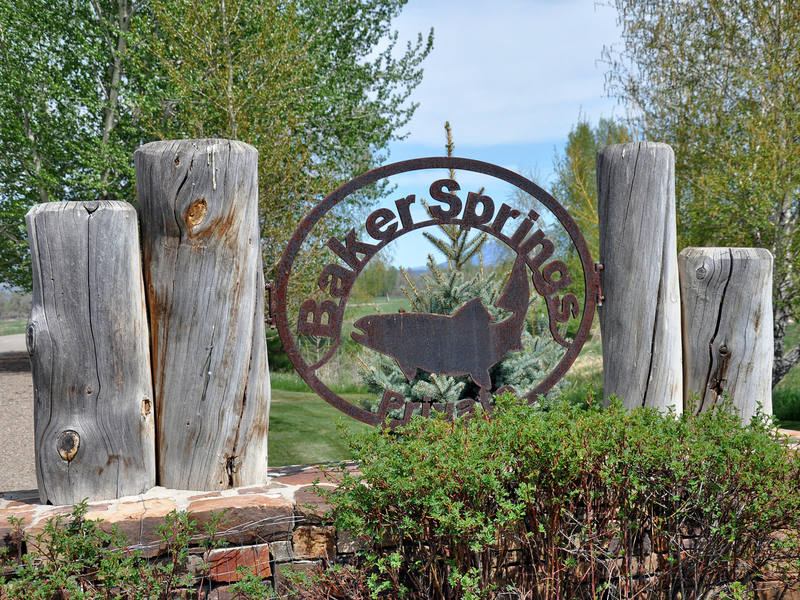 Baker Springs sits in one of the Gallatin Valley’s most traditional agricultural locales – only 2.4 miles from charming downtown Manhattan, Montana and within an easy 15 minute drive of the amenities of the thriving city of Bozeman. Residents of Baker Springs enjoy Montana living at its finest. A short stroll delivers residents to a diverse array of exceptional fishing options on the Property. As an added enhancement, the on-site caretaker and river keeper ensures residents privacy as well as providing exceptional fisheries management, property maintenance and property enhancement. Very rarely does a property become available that is in a secluded country setting with tremendous angling opportunity, while also providing easy access to the many amenities of a larger community. The Property affords the opportunity for the next fortunate owner to design and build their custom Montana home. Residents wanting out-the-door access to on-site sporting opportunities while being surrounded by open space requiring a minimum amount of maintenance will appreciate the quality of life at Baker Springs. Baker Springs is located in Gallatin County along the Gallatin River corridor, an easy drive southeast of Manhattan, Montana. The Property is accessed off of the I-90 frontage road. Traveling from Manhattan’s main street, follow the frontage road for 2.4 miles – the entrance to the Property is on the left through the private entrance to Baker Springs. 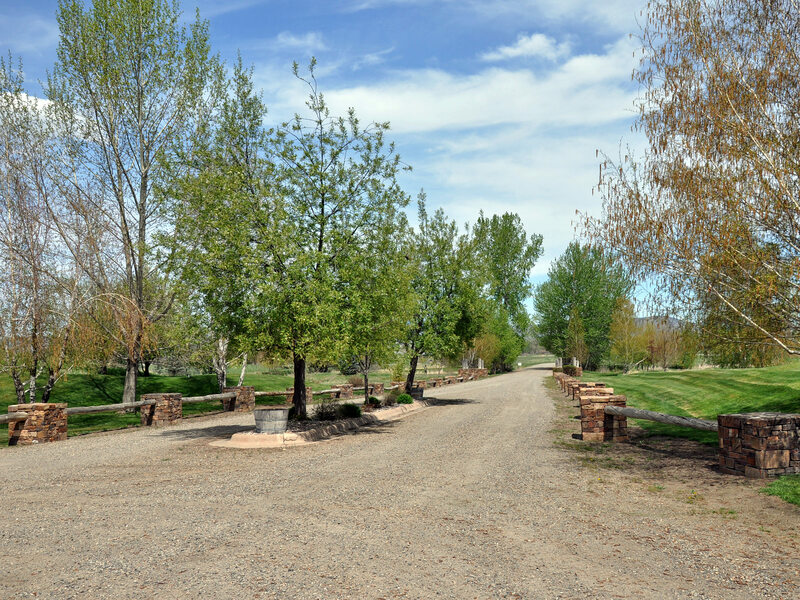 The roads within the community are exceptionally well maintained year round. Manhattan, Montana is a relaxed, small town agricultural community of about 1,500 residents. Manhattan has a complement of basic services including small shops, grocery, churches, community banks, post office, medical and dental services, automotive repair, restaurants and cafés and a fitness center. Home of the Manhattan Tigers, the town boasts an excellent school system and is the recent recipient of the National Blue Ribbon Award for excellence in education. Bozeman is a vibrant and active university-oriented city steeped in culture and art and is located an easy fifteen-minute drive from the Property. 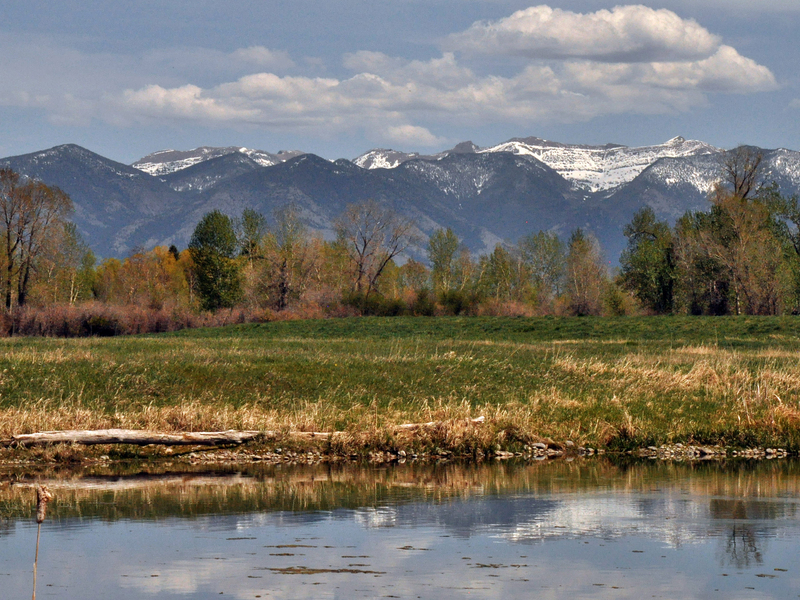 Bozeman is proud to maintain its small-town feeling with big-city amenities. It is home to Montana State University, Museum of the Rockies, Bozeman Symphony and Montana Ballet. The fourth-largest city in the state, Bozeman offers abundant opportunities for fine dining, lodging, entertainment venues and shopping opportunities. It is a scenic 100-minute drive to either the north or west entrance of Yellowstone National Park. Bozeman Yellowstone International Airport (BZN) at Gallatin Field in Belgrade is about a 10 minute drive from the Property. Recently expanded, Gallatin Field offers several full-service FBOs and excellent commercial services through Alaska Airlines, Allegiant, Delta, Frontier Airlines, United Airlines and American Airlines with direct flights to over a dozen major airports around the nation. 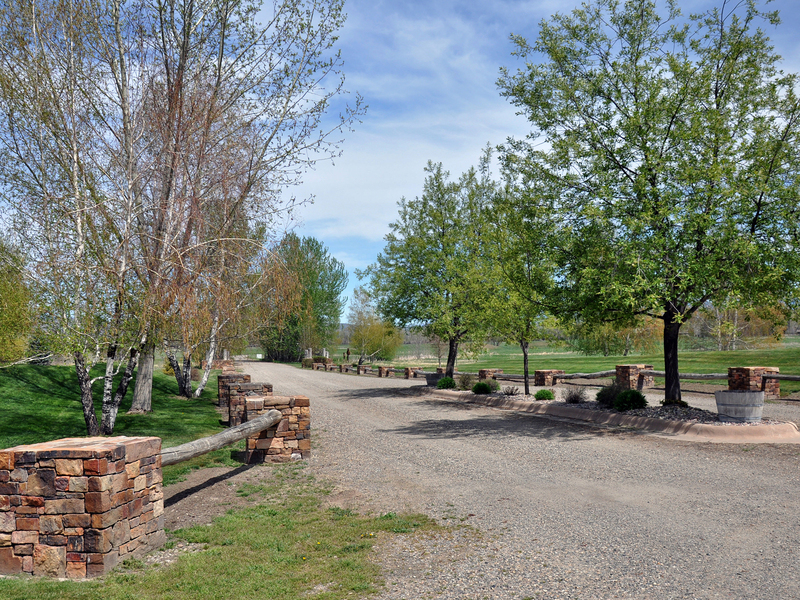 The community of Baker Springs consists of 200± acres of common area with open meadows interspersed with ponds and spring creeks ranging from meandering Baker Creek to the cottonwood-lined banks of the world-famous Gallatin River. The deeded acreage is situated in the center of the community - the Property topography can generally be described as a river corridor setting with open meadows bordered by riparian areas along Middle Pond and Middle Creek. Middle Creek, a spring creek originating on the acreage, feeds middle pond with cold, clean, nutrient-rich water to support the exceptional brown trout fishery. Numerous willow and cottonwood trees have been recently planted along the creek further enhancing the Property by providing shade, bank stabilization and aesthetic value. Numerous maintained recreational trails can be found on the Property and numerous game trails exist within the river-bottom land. Willows and cottonwoods are prolific in the riparian bottoms and many species of wildlife frequent the Property including whitetail deer, moose, bald eagles, Canada geese, ducks, sandhill cranes, and wild turkey. 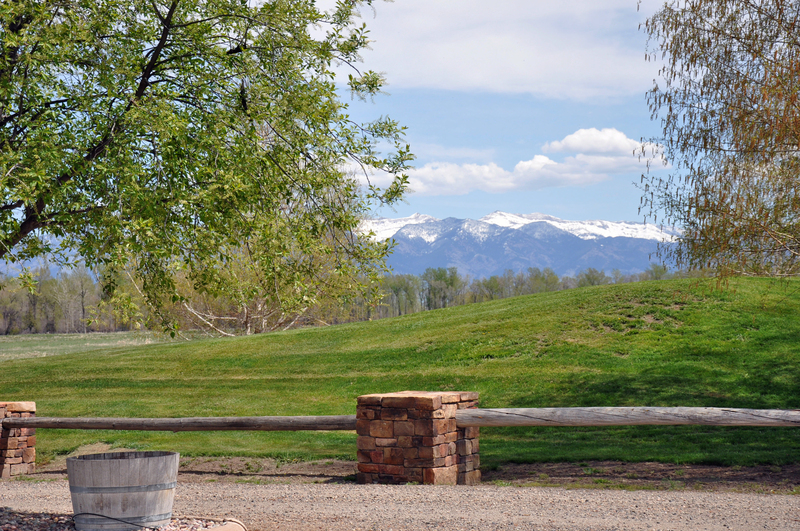 The community of Baker Springs consists of 200± acres of common area with open meadows interspersed with ponds and spring creeks ranging from meandering Baker Creek to the cottonwood-lined banks of the world-famous Gallatin River. 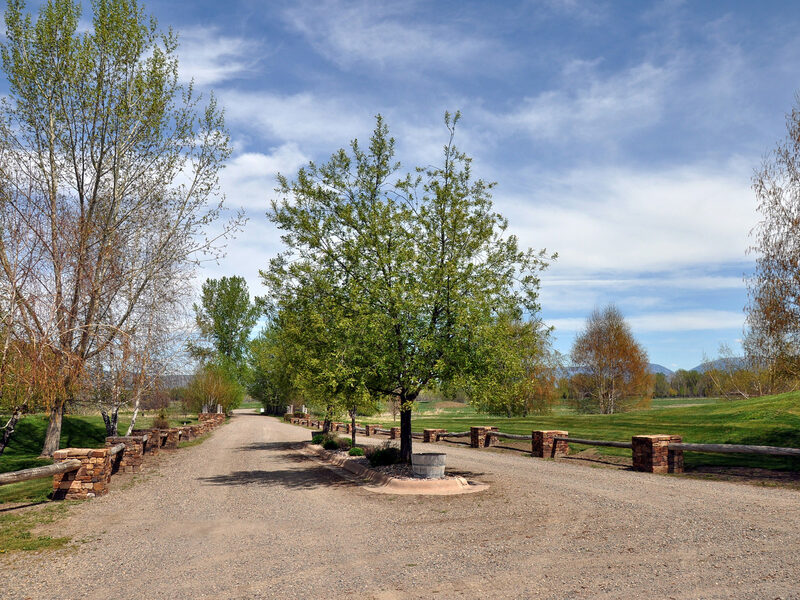 The 20 acres is situated in the center of the community - the Property topography can generally be described as a river corridor setting with open meadows bordered by riparian areas along Middle Pond and Middle Creek. Middle Creek, a spring creek originating on the Property, feeds middle pond with cold, clean, nutrient-rich water to support the exceptional brown trout fishery. Numerous willow and cottonwood trees have been recently planted along the creek further enhancing the Property by providing shade, bank stabilization and aesthetic value. Numerous maintained recreational trails can be found on the Property and numerous game trails exist within the river-bottom land. Willows and cottonwoods are prolific in the riparian bottoms and many species of wildlife frequent the Property including whitetail deer, moose, bald eagles, Canada geese, ducks, sandhill cranes, and wild turkey. 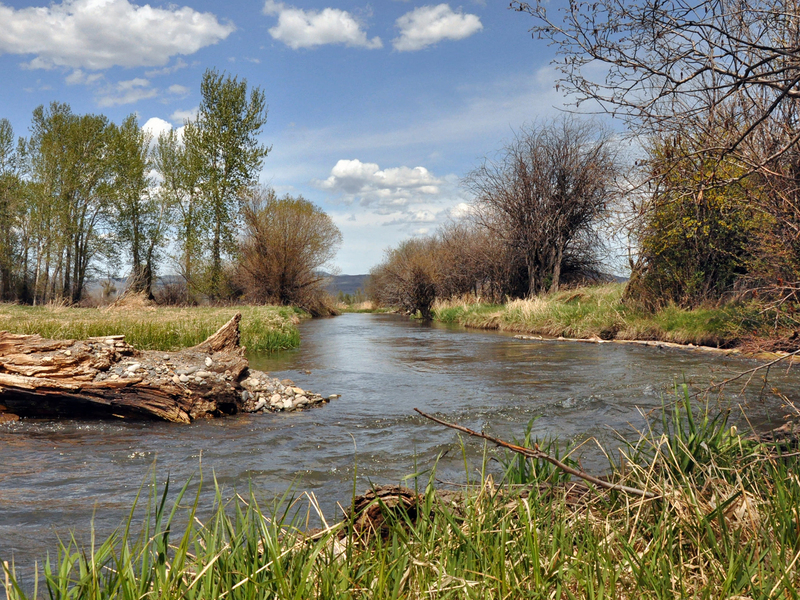 The on-site angling opportunities at Baker Springs are unsurpassed in any property offering in the Gallatin Valley. The unique combination of Baker Creek, Gallatin River, spring creeks and five ponds allow residents exceptional angling opportunities year round. Baker Springs sits in a riparian area rich with abundant water resources providing excellent trout habitat. The vision for the private community was to provide a select few owners with outstanding and unpressured angling opportunities. The water resources, previously underutilized when the land was used as a working cattle ranch, have been restored and enriched to provide maximum angling opportunity while providing additional spawning habitat, cover, and healthy riparian vegetation. The numerous springs in the area provide cold, clean water necessary to sustain healthy aquatic insect and fish populations. The ponds were carefully designed by Joseph Urbani and Associates providing the correct attributes of cover, depth, structure – both on shore and below the water line – and necessary inlet flows. All too often, carefully-designed fisheries’ resources are not maintained or managed to provide optimum-angling opportunity – such is not the case at Baker Springs. The fisheries are very carefully managed for water quality, fish size and for aesthetic value by an on-site river keeper and property caretaker who continually monitors the resources. Middle Pond – This spring-fed pond of approximately one acre is located on Lot 6. 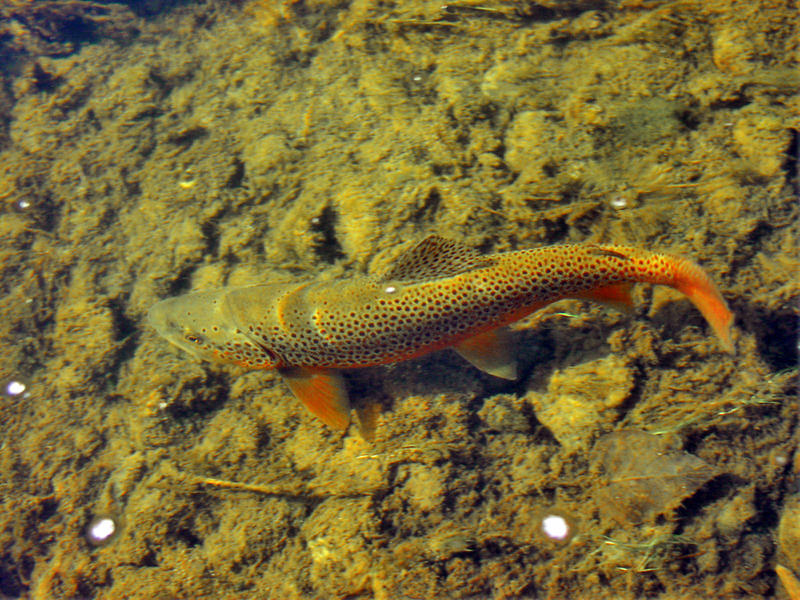 Brown trout thrive in this self-sustaining fishery. Middle Creek – Also located on Lot 6, this small spring creek feeds Middle Pond and provides additional oxygen and spawning habitat for the pond. Baker Creek – Providing anglers with over one mile of spring-creek frontage, Baker Creek provides cold, consistent water though meandering bends punctuated with deep cut bank holding water, and classic pool/riffle sequences. 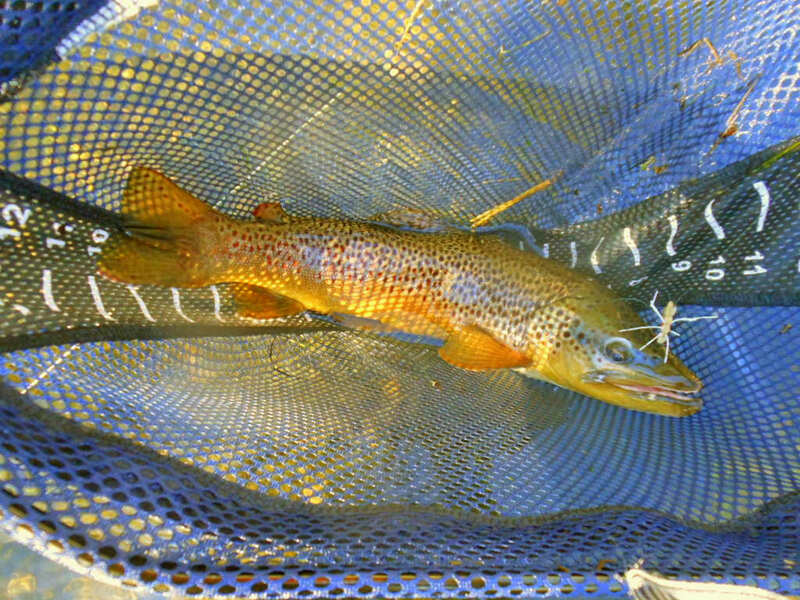 Baker Creek can produce some excellent hopper fishing for large brown trout. Trout Creek – A small spring creek that meanders through the Property, Trout Creek has been restored with additional stream-side vegetation and enhanced cover, depth and holding water. Primarily a rainbow trout fishery, Trout Creek offers anglers a small creek experience. Baker Pond – This two acre pond consists primarily of rainbow trout. Gentle banks make for easy casting. Entry Pond – This small half-acre pond is located just inside the gates of the community. Baker Spring Creek – Originating with cold-spring water near North Pond, Baker Spring Creek flows through the Property and returns into Baker Creek. Baker Spring Creek provides exceptional spawning habitat for Baker Creek fish. Good hatches occur in this creek and numerous “reds” can be found in the fall as the brown trout spawn. Gallatin Pond – Located at the head of the trail leading to the Gallatin River frontage, this spring-fed one acre pond provides anglers with a backdrop of large cottonwood trees and the river corridor while fishing for rainbow trout, brown trout, brook trout and the occasional cutthroat trout. Gallatin River – The world-famous Gallatin River runs through the Property providing multiple braided channels, riffles, runs and deep pools. Open year-round, the Gallatin offers anglers seasonal hatches of caddis, March browns, blue wing olives and midges. It also offers the opportunity for trophy trout in an area of the river that is seldom fished. North Pond – The largest and most fish-rich pond on the Property, North Pond provides consistent fishing for feisty Rainbow Trout and the chance at some very large Brown Trout. A small spring creek feeds North Pond providing additional oxygen and spawning habitat. The Property sits at an average elevation of 4,270 feet above sea level. July and August are quite comfortable with average highs of 82 degrees Fahrenheit and evening lows around 48 degrees. Indian summer can linger until mid-October. December and January bring highs of around 33 degrees with lows around 10 degrees. 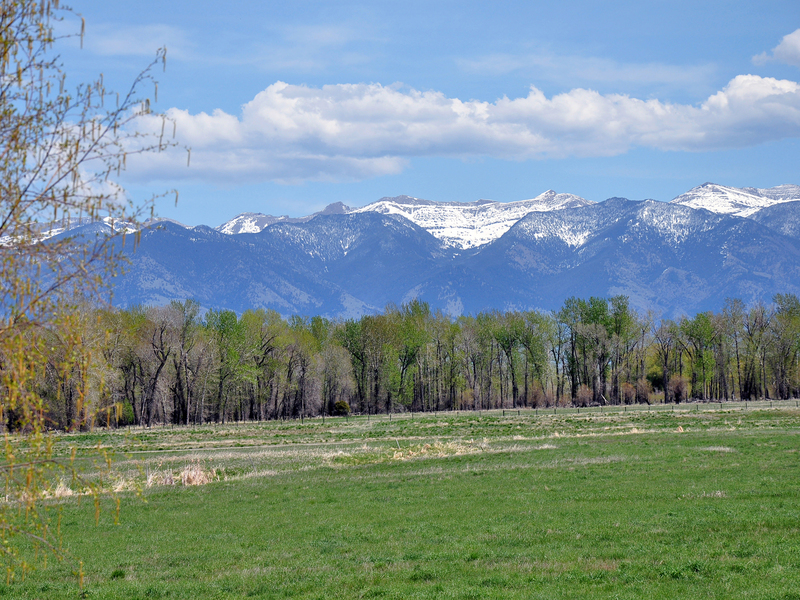 Spring arrives in May in the Gallatin Valley with about one third of the annual average precipitation arriving during May and June. Manhattan receives about 12 inches of rain annually and approximately 41 inches of snow per year. The Sellers will convey with the Property 100% of whatever mineral, oil, gas, geo-thermal, hydro-carbon and gravel rights which they actually own, subject to reservations by previous owners. The Sellers make no representation as to the quantity or quality of any mineral or other subsurface rights appurtenant to the Property. Electricity is installed underground to the lot line and available through Northwestern Energy. The Property has a designated 2.6 acre building site within the deeded 20-acre parcel. A set of well thought out architectural guidelines are in place in conjunction with the community covenants to protect owner investment. Owners are allowed a primary residence, guest house and one small outbuilding for temporary housing of horses. Underground utilities are installed to the lot line. Owners would be required to install their individual well and septic system. With only 11 total lots in the Community, privacy and views are preserved for the benefit of all owners. The original ranch house now serves as the on-site caretaker’s residence. There is a “fly shop” for storage of owners’ fishing gear on the banks of Trout Creek and the old barn adds character and reflects the ranching history of the Property. The Property is very simple to own with the natural landscape of Lot 6 largely maintained in an undisturbed state. In many similar offerings, considerable amounts of money have been spent on ill-designed homes and ancillary buildings which the buyer must uncomfortably assume and, to one extent or another, pay for. The Property is free of this distraction allowing the new owner to tailor future improvements to their own discriminating taste for family and friends to enjoy for many decades. As if the exceptional angling experience at Baker Springs was not enough, Southwest Montana is in the heart of the finest fly fishing in the lower 48 States. With several of Montana’s premier trout rivers only 45 to 75 minutes away, the Property would be an outstanding home base, providing the devoted angler miles of rivers and streams to relish for a lifetime on a comfortable “day trip” basis. Owners at Baker Springs could comfortably fish many of the most storied rivers in the West including the Yellowstone, Missouri, Jefferson, Madison, Beaverhead, Big Hole and all of the more secret locations abundant in this area of the State. For the non-angler, Baker Springs provides over six miles of trails for hiking. Additionally, owners are encouraged to use the common ground for horseback riding – although permanent boarding of horses is not allowed. The many surrounding mountain ranges provide almost limitless opportunities for high-mountain recreation, hiking, horseback riding, fishing, mountain biking, camping and overall enjoyment. Some areas are also open for the motorized-recreational user as well. Baker Springs provides the sportsman with the option for limited hunting on the Property with the permission of all owners in residence. Additional hunting opportunities abound throughout the State. Exceptional skiing is in close proximity of the Ranch with the “cold smoke” of Bridger Bowl up the nearby Bridger Canyon and larger terrain of Big Sky Resort an hour and a half drive up the beautiful Gallatin Canyon. Ranked as one of the Top 10 ski towns by Skiing Magazine, Bozeman offers a comfortable, small-town feeling with big-city amenities. The area around Manhattan was originally settled by the Dutch, or Nederlanders, in the late 1800s to grow barley. Originally called Moreland, the town was renamed Manhattan in 1890 by a group of New York City investors who operated the Manhattan Malting Company. The Company bought thirteen thousand acres for barley production. The businessmen then invested in the West Gallatin Irrigation Company which bought another twenty-eight thousand acres. Many of these easterners built summer homes as a retreat from their east coast urban lifestyle. The malting facility, the largest from St. Paul to Seattle with a capacity of 475,000 bushels, shipped the majority of the malt via rail back east to be utilized for brewing. The remaining barley straw was utilized by the Gallatin Valley Pulp and Paper Mill to create paper. Unfortunately the final product, due to too much silicon in the straw, resulted in an inferior paper compared to the national market suppliers. Manhattan Malting Company stayed in operation until the passage of the Volstead Act, the federal prohibition act in 1916. Thankfully the farmers were able to generate enough business from other markets for their grain to be able to survive. Today, the tight-knit community of Manhattan continues to flourish due to its strong agricultural foundation primarily centered on seed potatoes, dairy and wheat farms, commercial beef and registered cattle. The Property is actively managed to provide owners the finest on-site fishing opportunities coupled with maintenance-free enjoyment of the common area. In order to ensure that the Property is managed properly, an on-site caretaker/river keeper is employed by the Homeowners Association. The caretaker not only manages the ecosystem at Baker Springs but also provides security and monitoring of the Property – further protecting owner privacy and investment. Baker Springs’ 220 acres are actively managed to support the best possible fishing experience for its owners as well as provide additional recreational opportunities year round. The fisheries include five ponds, three creeks, one of which is a spring creek, almost a mile of famed Baker Creek, and just over half a mile of the Gallatin River. The fisheries are managed for water quality, fish health and size, and for aesthetic appearance. These are not simply holes dug, filled with water, and then stocked with fish. The entire ecosystems of the ponds and creeks are monitored and managed with the goal of supporting the best fish and best fishing in the area. The benefit to having so many varieties of fishing opportunities at Baker Springs means owners can have the best chance of catching fish almost every single day of the year. When the creeks are closed, or high from run-off, or too warm in the summer for fishing, owners can chose one of the five ponds to wet a line. If the ponds are iced out or owners prefer bigger waters, the Gallatin River frontage on Baker Springs allows access to parts of the river rarely fished by local fisherman. Aside from the fisheries, the common-space grasslands are managed with the idea of creating a beautiful place for owners and wildlife alike to call home. The open grasslands are managed for weeds, irrigated and hayed seasonally. The common-space grasslands have over six miles of trails cut that are maintained for owners to hike or bike around the Property. In the winter the trails are an excellent place to cross-country ski. 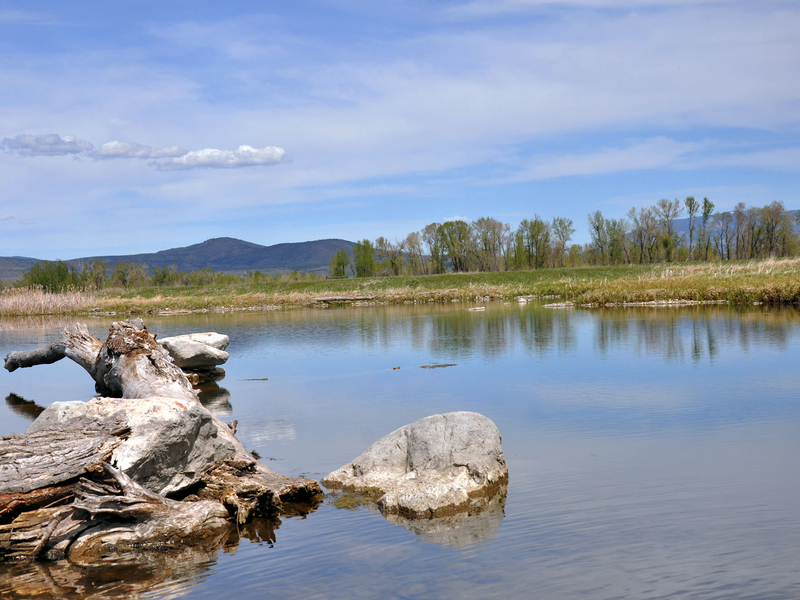 Additionally, there are two picnic areas – one on Baker Creek and one is on the banks of the Gallatin River. The river spot has a dug fire pit ringed with river rock and several cut logs for seating. This place is a summer-time favorite for owners and their families. An extensive tree-planting project has been underway for the past few years, and as of this spring there will have been close to 200 native species of cottonwoods and willows planted along several creeks. These trees not only benefit the fisheries by providing cover and shade for fish but they also enhance the beauty of Baker Springs by transforming the look of what once was a working cattle ranch 50 years ago. The neighboring properties surrounding Baker Springs are large ranches of 200, 400, and 600± acres. So while those acres are not owned by Baker Springs, the community receives the benefit of the surrounding wide-open spaces. The same is true but on a smaller scale for Baker Springs owners. Each owner has their 20 acre parcel but they get the benefit of all 220 acres encompassing Baker Springs. That is around 1,500 acres in all directions with only a few homes here and there. Baker Springs Homeowner Dues are approximately $650 per month. All of the work done to enhance the fisheries and the open spaces at Baker Springs is funded by the Association Dues. The management of the ecosystem at Baker Springs is an investment in maintaining the value and integrity of such a special place. Baker Springs enjoys a premier location in the Gallatin Valley – one of Montana’s most desirable locales – and is graced by privacy, stunning views and outstanding fisheries resources. The Property has the unique attribute of being in a country setting but located just minutes from the small town services of Manhattan and a short 15 minute drive to the dynamic community of Bozeman. Baker Springs consists of 20 deeded acres and shares a boundary with an additional 200± acres of common community land. Located on the banks of Middle Pond and with Middle Creek frontage, the next owner of Lot 6 has a designated 2.6 acre building envelope in which to design and build their Montana residence on a previously undeveloped parcel. Baker Springs will provide the next fortunate owner with exceptional angling opportunities, privacy, views, easy access to city amenities, and maintenance-free living in a spectacular country setting. Buyers’ Brokers are welcomed and invited to contact Stephen Leibinger in our Bozeman Office for information regarding Cooperation Policies.